Colleen Z Burke | Me fail? I fly! This is my mandatory round-up post about the Australian Women Writers’ Challenge 2016. I undertook to read 10 books by Australian women writers. I read 14, which ranged from revelatory and richly entertaining to definitely meant for readers who aren’t me. Here they are. I’ve tried to be clever with the lay-out. My apologies if it shows up on your screen as a jumble. I’m signing up for the 2017 challenge. My general gender stats: This year I read 39 books by men and 31 by women.This includes at least five (the Y: The Last Man series) that were jointly written by a man and a woman. 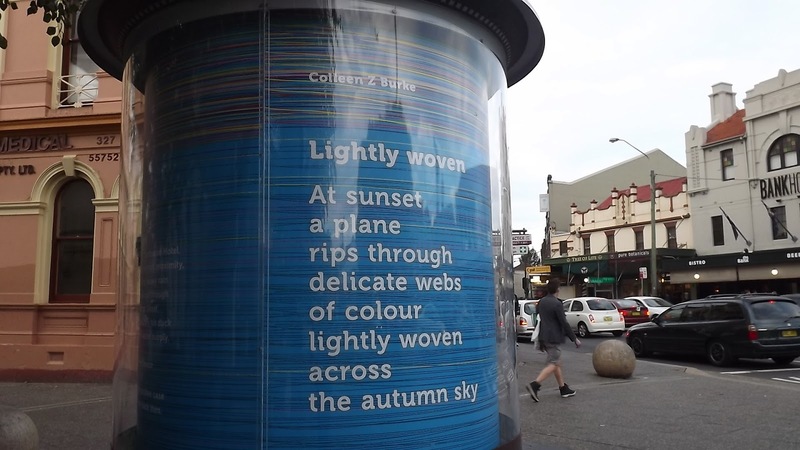 More than 20 years ago in a pub in Glebe I heard Colleen Burke (I don’t think the Z had yet become part of her working title) read poems from which I still remember lines that move me, from what she presented as straightforward records of conversations with her children. Four of the longer pieces draw on the history of discovery and settlement of New South Wales: an narrative-essay on James and Elizabeth Cook, journal entries by the surgeon and an officer from the First Fleet, a biographical sketch of the early Australian poet Frank Macnamara. They lack obvious poetic embellishment, but in each of them the effect is unsettling and revelatory. There are straightforward accounts of the lives of two nineteenth-century women – ‘The publican’s daughter’ being the poet’s great grandmother, and ‘The fossil hunter – Mary Anning’ (which accounts for roughly a fifth of the book) an extraordinary Dorset woman who might easily have been lost to history because of her class and gender. 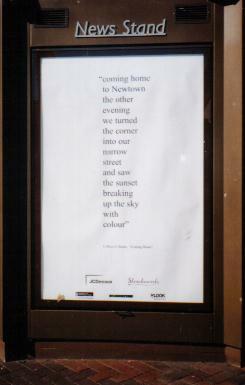 The sense of place is strong here as in all Colleen Z Burke’s work: I think of her as the poet of Newtown. 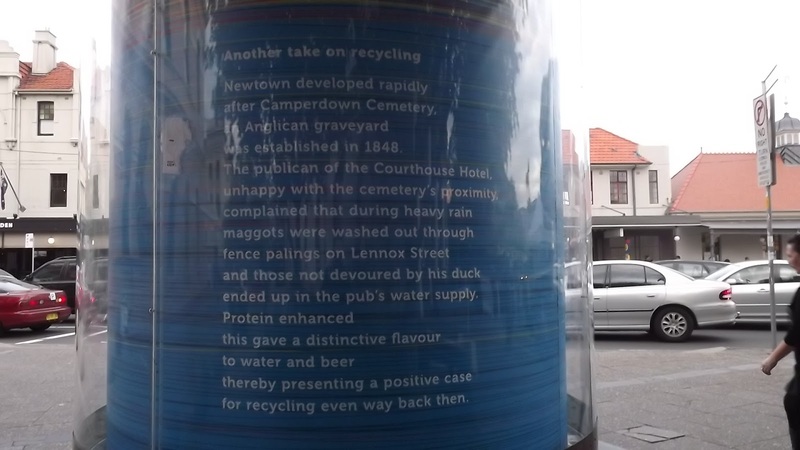 Earlier books have included a number of pieces set in Camperdown Cemetery, and this book has two beauties set there too: ‘Kangaroo grasslands and my 20 month old grandson’ and the wicked ‘Another take on recycling’. her landscapes quiet, his lewd and loud. tall amid a milling crowd. as she bids a friend farewell. it helps to root us in this place. Full disclosure: I published one or two of these poems in The School Magazine in my past life, and may have rejected one or two others A significant event in my mother-in-law’s pre-dementia life was a creative writing class taught by Colleen Burke. I think this is the 11th book I’ve read as part of the Australian Women Writers Challenge 2013. Poetry is good to travel with. Slim volumes are attractive when you’re packing light, and short poems are well suited to the short grabs of time for reading, in between gawking, eating, finding toilets, blogging and all that. 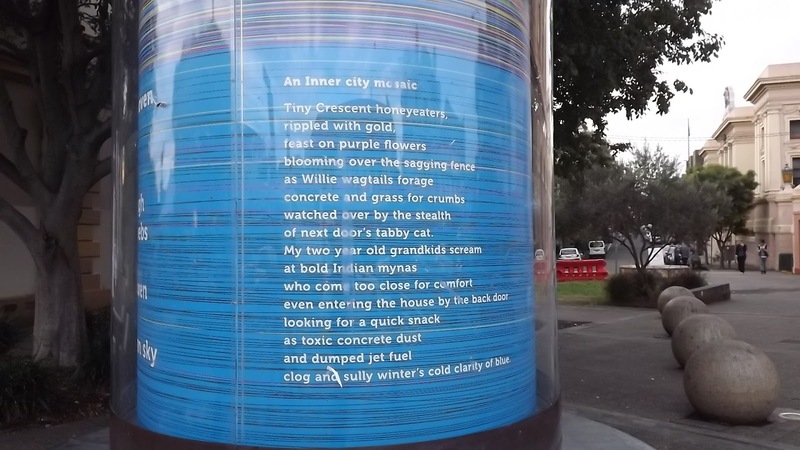 Apart from such practicalies there’s this little syllogism: a) Whenever I travel I have intense dreams about home; b) poetry has been described as a waking dream; c) it makes sense to take poems about home with one when travelling. So of course I brought this book whose title promises poetry about places a couple of blocks from my home. 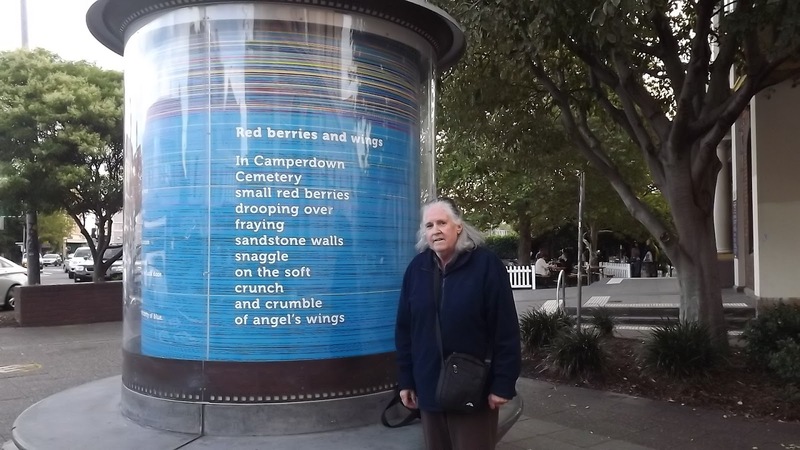 True to that promise, the book’s sense of place is very strong, in poems celebrating working class, culturally diverse Newtown, acknowledging its Dharug past and present, and repeatedly evoking Newtown houses, Camperdown Park and the historic cemetery adjoining it. The latter is the subject of elegant photographs scattered through the book, which I’m guessing were taken by the author. It’s evident that Colleen walked through that park on the way to and from work, that she often spent time in the cemetery. If that small part of the world were to be allocated a Poet Laureate, she’d be hard to beat. The book has a number of interweaving strands: the walks home from work, often involving sunsets: relatively impersonal narratives about the history and make-up of the suburb; conversations with the poet’s children; the cemetery poems, some of which are about the history, some intensely personal; a very few strong poems that directly address the death of the poet’s partner. All the poems are short. If I was at home, I’d find the lovely line about Colleen Burke’s lyrics in Jennifer Maiden’s 1999 collection, Mines, but as I’m gallivanting in Turkey with fitful Internet access, I’ll just recommend that you look it up. 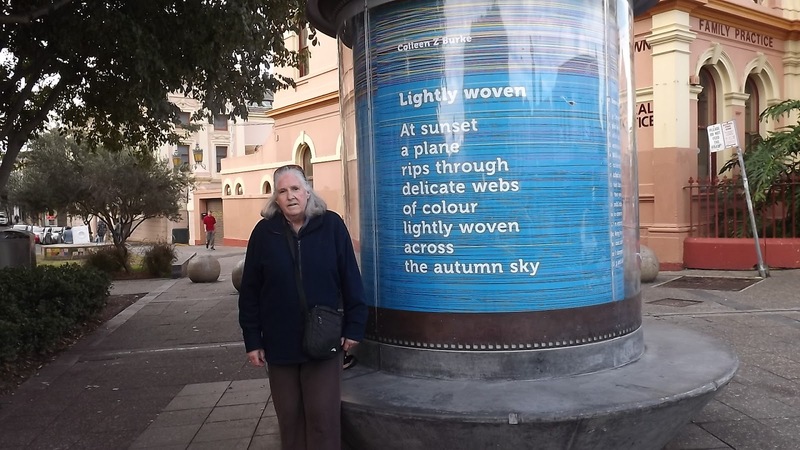 I hope Colleen won’t mind if I quote a poem that, while not necessarily my favourite, struck a chord because I was away from home – in Turkey, not India – when I read it. us flowers. Held our hands. Place calls out to place calls out to place. Full disclosure: I published one or two of these poems in The School Magazine in my past life, and may have rejected one or two others; Colleen Burke taught a creative writing class to my mother-in-law, which was a significant event in her pre-dementia life; more than 20 years ago I heard Colleen read poems about her bereavement and her children that still move me, though I remember only a phrase or two.